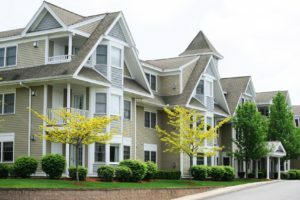 Condominiums can provide a great solution for home buyers who want to have their own space but who do not want to assume all of the maintenance responsibilities that are associated with the ownership of a single family home. Condos also provide the opportunity to own space in more densely populated locales or in urban areas where single family homes are in limited supply and are often very costly. Condos are also a great investment for those looking for an income property or for a rental property, or who are otherwise interested in making an investment in commercial real estate. A condo is typically easily rentable to tenants, provided that building rules permit short-term or long-term rentals, and the property owner can benefit both from the ongoing rental income that the unit provides as well as from the condo appreciating in value as property values rise. For most individuals and organizations purchasing who are condos, however, it becomes important to obtain a mortgage to fund the condo purchase. Unfortunately, qualifying for a mortgage for a condo loan can be difficult or even impossible in certain circumstances, especially in situations when a condo is considered to be non warrantable or non conforming. Non conforming condos or nonwarrantable condos can sometimes be an excellent investment opportunity for buyers, but investors and condo buyers looking for a personal residence are often unable to purchase these units because of the challenges that are associated with securing funding. The good news is, if you are interested in a non warrantable condo loan, you should be able to obtain one just as long as you know where to turn. A&D Mortgage is here and ready to help you get into a condo with an affordable mortgage loan at reasonable terms, even if the condo that you are interested in purchasing is not a conforming one. You should give us a call today to find out about the ways in which our mortgage professionals can guide you through the process of finding the right loan and getting timely approval to purchase a non warrantable condo unit. Why is it Difficult to Obtain a Loan for a Non Warrantable Condo? When banks and other financial institutions give a mortgage to a borrower, the financial institution usually does not intend to keep the loan on its books and does not intend to service it over a period of 15 or 30 years, or however long the mortgage repayment period is. Instead, lenders typically resell the loans that they have made to condo or home buyers on the secondary mortgage market. Two of the biggest buyers of mortgages on the secondary market are entities called Fannie Mae and Freddie Mac. Fannie Mae and Freddie Mac are both government sponsored entities (GSEs) that facilitate liquidity in the mortgage market by buying loans, packaging those purchased loans into mortgage backed securities, and selling the loans to investors. 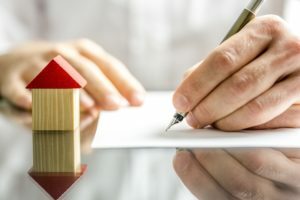 If a mortgage lender is not able to sell a loan to Fannie Mae or to Freddie Mac on the secondary mortgage market, there is a big risk to the lender that it will not be able to offload the loan at all and that it will need to collect payments from the borrower for decades until the loan is eventually repaid. Fannie Mae and Freddie Mac have very strict guidelines regarding the types of mortgage loans that the GSEs are willing to buy. While these GSEs will sometimes buy mortgages that were given to condo buyers, they will not do so if the loan does not meet eligibility standards. If a mortgage meets these standards for a condo, then it is a conforming loan and the condo is a warrantable condo. But, far too many condos do not meet Fannie Mae or Freddie Mac’s guidelines. These are non warrantable condos and Fannie or Freddie will not buy a mortgage loan issued for the purchase of a non warrantable condo. Many different things can make a condo unwarrantable. If more than 10 percent of one entity owns an entire condo construction project, for example, the condo will not be a warrantable one. If at least 50 percent of the units in a construction project happen to be rental units, rather than units bought and lived in by homeowners, then the condos in the construction project are not warrantable. Condos are also not warrantable if more than 20 percent of the building space those condos are located in is considered commercial property. Finally, if the construction project has been filed with the Securities and Exchange Commission and is sold as an investment, or if the project is a new one that grants abatements or concessions, the condos that come out of that project are typically not going to be considered warrantable and any mortgage loans that are issued by lenders for those condos will not be considered conforming loans. When a condo is not warrantable, many lenders do not want to issue mortgage loans for its purchase at all. This is true even for vey well qualified borrowers who have excellent credit, who have a good down payment to put down for the condo purchase, and who otherwise would be excellent candidates to obtain a mortgage loan. It can be very frustrating for would-be condo buyers to do everything right financially so they should be eligible to qualify for a mortgage loan, only to discover after they have found a condo that they cannot buy the property they want simply because the condo is not considered to be a conforming one. You Can Get a Loan for a Non Warrantable Condo? The good news is, those who wish to buy a non warrantable condo do have options, even if most conventional lenders are unwilling to provide a non conforming loan for a condo that does not meet the Fannie Mae and Freddie Mac requirements. In fact, it is possible for borrowers to obtain a loan even in situations where their credit is not perfect and even if they do not have a lot of the financial documents that traditional lenders want to see when approving a mortgage loan. That’s because A&D Mortgage works differently from most conventional mortgage lenders. Our mortgage professionals will take a holistic view of borrowers and of real estate purchase transactions. We know that not every condo buyer or every property purchase fits into the traditional mold that many lenders want to see and we are ready, willing, and able to look at the big picture to help borrowers get a loan that most mortgage lenders would simply deny. Our skilled mortgage experts at NonQMHomeLoans.com will talk with you about the non warrantable condo that you want to buy– or about whatever real estate deal you are hoping to close – and will help you to understand all of the different options that you may have available to you for funding the purchase with a mortgage loan. We can assist you with getting a mortgage at a competitive interest rate with favorable terms so your investment is a good one — and we can make the entire application process easy and straight forward as you try to complete your purchase. A&D Mortgage regularly lends to borrowers who are purchasing a non warrantable condo and we do not require that the condo you want to invest in for your home or for a rental property meet qualifications that GSEs such as Fannie Mae and Freddie Mac have established. Instead, we work hard to make sure that every qualified borrower can buy the property that they believe is the right investment for their particular situation. Many borrowers will appreciate our streamlined application process that gets you to closing faster and ensures you do not lose a real estate deal because of a lengthy timeline for loan approval. Borrowers also benefit from the fact that we do not require a perfect credit score, adverse credit events in your past will not preclude you from getting a loan, and you do not need to provide ample extensive financial documentation in every case as conventional mortgage lenders require. Buying a non warrantable condo may be a smart financial choice for your situation and we want to help make that happen when conventional lenders may see only obstacles in the way. You should reach out to A&D Mortgage today to find out about the options available to you for securing a loan so you can get your real estate transaction underway and get the funding you need to close on the property quickly before the investment opportunity disappears. When you’re enjoying your new home or you’re seeing the value of your real estate portfolio increase as your non warrantable condo appreciates in value, you will be very happy that you made the choice to go with a mortgage lender that really wants to work with you. Just give A&D Mortgage a call today to talk with a mortgage professional and find out how we can help you.